Why is it hard to resist temptation, keep focused on boring but necessary tasks, carry out complex mental maths, and change from automatic routines to new behaviours? They all require 'executive functions', a family of higher-order mental skills that demand considerable effort. This inaugural lecture will consider how executive functions are used in everyday life, and look at some commonly used psychological measures that attempt to assess them. We will then consider executive functions in children with developmental disorders, e.g., specific language impairment, developmental coordination disorder, Down syndrome and Williams syndrome. How do children with developmental disorders cope with tasks requiring executive functions, and what are the implications for everyday life and academic performance? Professor Lucy Henry is a qualified Clinical Psychologist with research expertise in the development of memory and higher order thinking, specialising in children with various developmental disorders, including language impairment. Lucy's degree and PhD, Universities of Bristol and Oxford respectively, were both in Psychology, and her research focus was on memory development in children. She started her academic career lecturing in Developmental Psychology at Reading University, consolidating her interests in working memory, strategy development, and academic achievement. Lucy moved to the Institute of Psychiatry, King's College London, to train as a Clinical Psychologist, remaining there for several years as a Welcome Research Fellow and developing new research into witness skills in children with intellectual disabilities. 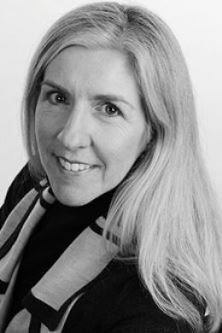 Further work on memory development, witness skills, and higher order thinking skills (executive functioning) was developed subsequently whilst Lucy worked as Professor of Psychology at London South Bank University, encompassing children with a wide range of intellectual and developmental disabilities (including specific language impairment, developmental coordination disorder, Down syndrome, Williams syndrome, autism spectrum disorder and maltreatment histories).